In the center of the rapidly development of globalization in healthcare sector there is the patient. His primarily requirement is health. We see the challenges of this expanding market and want to contribute to ensure and enhance the quality. 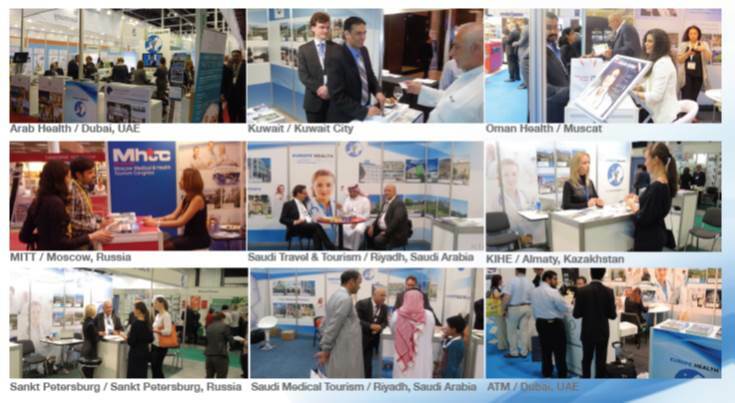 To complete our network continuously, to look after our international relationships and to give a platform to our partners we attend continuously at several exhibitions and congresses as exhibitors or as partners.